I am thankful for simple (absolute) truths. See here for how to post what you are thankful for. This entry was posted in Uncategorized and tagged faith, friends, God, i am thankful for, words. Bookmark the permalink. 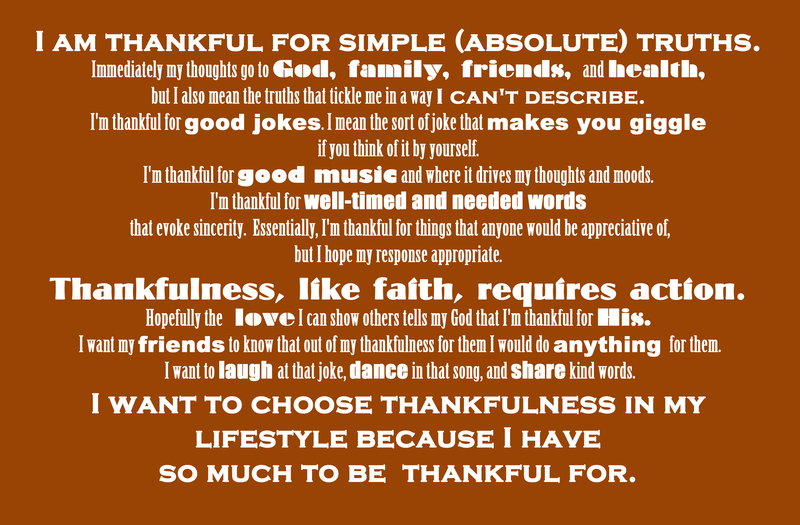 2 Responses to I am thankful for simple (absolute) truths.